Young poet and motivational speaker Bulelwa Basse has set up an organisation to help women to start their own businesses. Respected poet and motivational speaker Bulelwa Basse has called on successful businesswomen to assist fellow women in dire straits. Basse, from Langa township, has started her company Sisters in Solidarity to help women in townships and who aspire to attain their dreams but are currently facing challenges holding them down. Challenges such as retrenchments, being single mothers unable to send children to school, or lacking matric qualifications that allow them to find work. She said for those without jobs, she was linking them with recruitment agencies while those who needed matric were being assisted with enrollment at institutions such as Saint Francis Adult School in Gugulethu. She said others preferred “working with their hands” and needed assistance to work as crafters. Basse said Sisters in Solidarity ran projects such as “educate a child trust fund” as well as a feeding scheme to assist providing children with food. Basse, who grew up in a middle class family in the township, said she has always been aware of the “social ills around her”. She said last year she was inspired to start Sisters In Solidarity due the growing gap between the “haves and the have-nots”. She said her vision was to attract women in business “to help others who aspire to reach for their goals”. She highlighted that at times these women “just need a nudge” in order empower themselves. 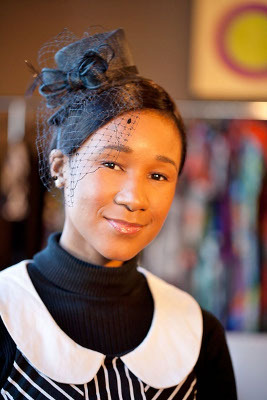 Brenda Solomons, a fashion designer from from Kuilsriver, is one person who has been helped by Sisters in Solidarity. Solomons, a mother of two, used to try sell the clothes she makes through word of mouth and an online portal but now has a platform to showcase her designs and get more exposure. By working through Sisters in Solidarity, she now has an opportunity “ broaden by clientele and for people to touch and have a feel of my work”. She said being part of this organisation had been empowering and recently she was interviewed on radio along with Basse. On November 23, Sisters in Solidarity will host its annual “women’s appreciation lunch” at the Centre for the Book in the city.